“We won’t act like them, we will not use violence or force, we are peaceful, we believe in peace, in peaceful popular resistance.” This was part of a message issued by Palestinian Authority President Mahmoud Abbas in October, only days after a few incidents took place in which Palestinian youth were accused of attacking Israeli soldiers and settlers with knives. The message would have carried some weight were it not laden with contradictions. On one hand, Abbas’ supposed “peace” quest has only entrenched the Israeli occupation of the West Bank, and all but completely isolated illegally occupied and annexed East Jerusalem. Moreover, what “peaceful popular resistance” is Abbas, 80, referring to? What war of “peaceful” national liberation has he been leading? And how could a leader, ever so unpopular, be leading a “popular resistance” anyway? Just two weeks before Abbas made that statement in which he referred to some illusory “popular resistance” under his command, a poll conducted by the Palestinian Center for Policy and Survey Research in Ramallah revealed that a majority of Palestinians, 65% of respondents, want him to resign. Of course, while Abbas continues to prophesize about some non-existent peace -- as he has done for most of his lucrative career -- Israel continues to wreak havoc on Palestinians, using every means of violence at its disposal. Granted, Israel’s propensity to maintain its violent occupation cannot be blamed on Abbas. It is Israeli Prime Minister Benjamin Netanyahu and his right-wing coalition that should be blamed squarely for the occupation and the mistreatment and humiliation of Palestinians on a daily basis. If Abbas is such a peacenik, why is his military budget so disproportionately large? According to information published by Visualizing Palestine, 31 percent of the PA budget is spent on the military and policing of the West Bank. Compare this to 18 percent on education, 13 percent on health and only 1 percent on agriculture. The latter percentage is particularly troubling, considering that Palestinian land, orchards, and olive groves are the main target for Israel, which usurps the land in order to expand its military zones and illegal settlements. The huge discrepancy between funds allocated to Palestinian security forces -- which never confront Israel's military occupation, only Palestinian resistance -- and those spent to assist farmers in their “sumoud” (steadfastness) while their land is being targeted and confiscated daily, is a testament to the mixed priorities of Abbas and his Authority. Even Israel, which is obsessed with its security, and manages several fronts of war and military occupation spends only 22 percent of its total budget on the military, which is still quite high by average standards. Abbas’ “peace” is, of course, quite selective. He rules over occupied Palestinians with an iron fist, rarely tolerates dissent within his party, Fatah’s, ranks, and has done his utmost to isolate the Gaza Strip and sustain a state of conflict with his enemies in the Hamas movement. More recently, and due to mere criticism leveled at him by the Popular Front for the Liberation of Palestine (PFLP), a prominent Palestinian faction and PLO member, Abbas decided to choke them of funds. 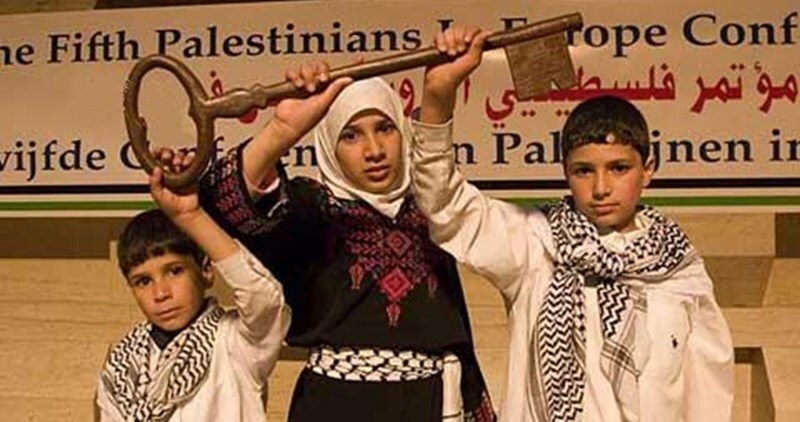 In Abbas’ “peaceful” world, there is zero room for tolerance. The PFLP criticism was a response to statements he made on Israeli television. In a recent interview, he insisted that security coordination with Israel is a top priority for him. Without such coordination, the PA will find itself “on the brink of collapse,” he told Israel Channel 2 on March 31. Abbas’ statement on life and death does not, in the least, address the context of oppression, the humiliation of military occupation and the prevailing sense of despair that exists among young Palestinians, caught between a belligerent, violent occupation, and a submissive leadership. Convincing them not to “kill someone and die,” involved “the security forces arresting the students who were found with knives, questioning them, torturing them, and threatening their families,” wrote Palestinian commentator Munir Shafiq. Writing in Rai al-Youm, Kamal Khalf wonders if it is time to look into the legitimacy of Mahmoud Abbas, a man who has ruled with an expired mandate for years. 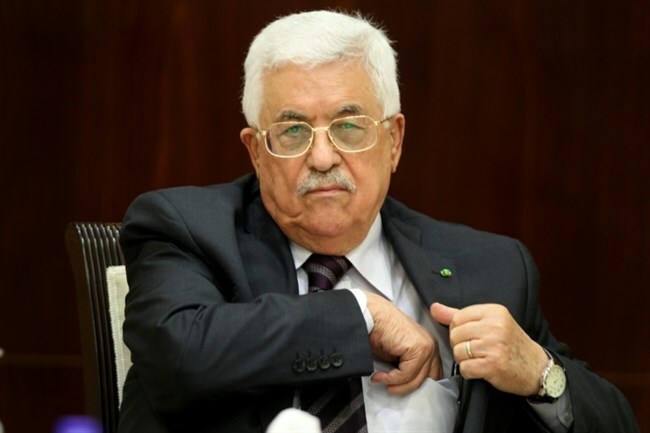 While refraining from any personal attack on Abbas, Khalf raises the possibility whether the PA president’s emotional and psychological well-being in his old age ought to be questioned, especially when one considers some of his latest statements: attacking Palestinian resistance, searching children’s schoolbags, and avowing his love for Israeli music. When Abbas Zaki, the well-respected member of Fatah's Central Committee, returned from a recent visit to Tehran, he was attacked by Abbas who "accused him of receiving $50,000 from the Iranians and he demanded the money be given to him instead,” he wrote. The number of Abbas’ bizarre actions and strange statements seem to be increasing with age. It is no secret, of course, that there has been much discussion about succession within Fatah and the PA, once Abbas is no longer in the picture. Until then, such eccentricity should be expected. However, it is essential that the discussion does not entirely focus on Abbas, for he is merely representative of a whole class of usurpers who have used the Palestinian cause to advance their own positions, wealth and prestige. There is little evidence to suggest that Abbas’ current position -- soft on the occupation, hard on the Palestinians -- is new, or motivated by age and mental health. For the sake of fairness, the arbitrator of the Oslo accords has been consistent in this regard. Since Arafat’s death in 2004, and his advent to power through a questionable democratic process in 2005, Abbas has worked laboriously to coexist with the Israeli occupation but failed to co-exist with his own Palestinian rivals. True, it has been a decade of unmitigated Palestinian leadership failure, but it certainly took more than Abbas to manage that political fiasco. Now, at 80, Abbas seems to have become a scapegoat for a whole class of Palestinians which has worked to manage the occupation and benefit from it. 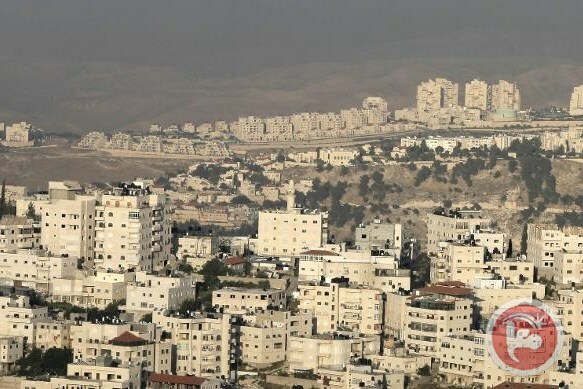 The Palestinian Authority (PA) has declared it decided to officially halt its attempt to extract a resolution from the UN Security Council condemning Israel's settlement construction in the West Bank and Jerusalem. The PA has taken this step at the behest of France that intends to hold a peace conference soon this summer. Palestinian foreign minister Riyadh al-Maliki stated that the PA would not push for a resolution at the UN SC against settlement construction in order to give a chance for the French peace conference initiative. Maliki made his remarks on Friday in New York during president Mahmoud Abbas's visit to the UN headquarters. The Palestinian Authority on Thursday sent contradictory signals as to whether it was still planning to submit a draft resolution to the UN Security Council condemning Israel's settlements. Media reports on Thursday suggested PA Foreign Minister Riad al-Maliki, who is currently at the UN Headquarters in New York with Palestinian President Mahmoud Abbas, was planning to shelf the draft resolution in order to focus instead on a French peace initiative. "We have agreed that our move at the Security Council should not jeopardize in any way the French initiative," al-Maliki was quoted as telling reporters in New York. "We should really sail smoothly in a way that the French initiative will continue." He reportedly made the comments after Abbas met for talks with Chinese Ambassador Liu Jieyi, who is chairing the Security Council this month. Abbas' arrival in New York follows a tour of several state capitals, including Paris, where he met with French President Francois Hollande and welcomed a new French peace initiative. As part of the initiative, France has said it will invite foreign ministers from across the world -- although initially not from Israel or Palestine -- to take part in a conference in Paris at the end of May. Reporters understood al-Maliki to be putting the UN draft resolution on hold on Thursday, although the foreign minister's office quickly issued a statement denying it had postponed its efforts to seek a UN Security Council draft resolution. 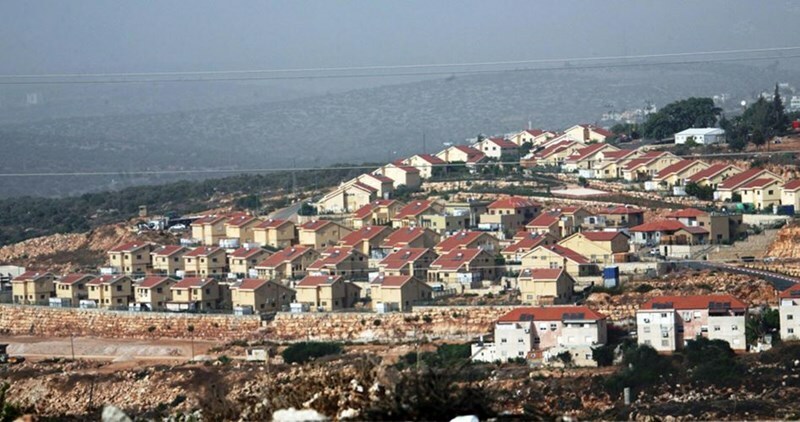 The statement said there was a "need for the Security Council to issue a resolution calling for an end to settlement construction," and that it was still holding consultations with "Arab and 'friendly' countries" about the proposal. The foreign ministry added that it was "totally convinced that heading to the Security Council is an important step," although it did not specify a timeframe. Abbas is only in New York until Saturday, and a Palestinian official told Ma'an earlier this month that he would use the occasion to submit the draft resolution -- the first to condemn Israeli settlements as illegal under international law since the US vetoed a similar resolution in 2011. Israeli Prime Minister Benjamin Netanyahu has condemned the draft resolution, saying it would serve as an obstacle to peace talks, although, the Palestinian official, who wished to remain anonymous, noted that the move stemmed directly from decades of failed negotiations. "If not now, when? There’s always an excuse when it comes to Palestinian issues. In 2011, people still had hopes for negotiations, but people don't believe in negotiations anymore," he said. There have been hopes US President Barack Obama might be willing to back a UN resolution condemning Israel, which would be a break with all precedent for the US, which has, since 2000, used its veto a total of 10 times to protect Israel from critical draft resolutions. In spite of this, diplomats have reportedly said that countries including Egypt and Saudi Arabia -- both allies of the US -- have discouraged the Palestinians from submitting the draft resolution. Netanyahu, meanwhile, has also criticized the French initiative, reportedly saying earlier this week: "Can anyone explain what this initiative is about? Even the French don't know." The Franch government have pressured the Palestinian Authority (PA) to suspend its effort to extract a UN resolution condemning Israel's settlement construction activities in the West Bank and Jerusalem, Haaretz newspaper said Wednesday. According to top Palestinian and Israeli officials, the French government fears that such a resolution could scuttle the peace conference it is attempting to organize this summer, and is therefore leaning on the Palestinians to freeze their new anti-settlement move at the UN Security Council. Haaretz newspaper pointed out that other countries, including Egypt and Jordan, supported the French position in this regard. As a result, the PA is seemingly mulling over suspending its anti-settlement bid at the Security Council to please the French side. "The opportunity to go to the Security Council will always be there and we want to give a chance to the French initiative because, in the end, this is an initiative that serves us and not one that hurts us," a PA official told Haaretz on condition of anonymity. This development reportedly emerged during a meeting in Paris on Friday between French president Francois Hollande and PA president Mahmoud Abbas. Abbas is said to be fully supporting the French peace initiative. Islamic Resistance Movement, Hamas, slammed the Palestinian Authority (PA) President Mahmoud Abbas for neglecting the Intifada and resistance action, and described his statements in which he declared his adherence to security coordination with Israel as dangerous. 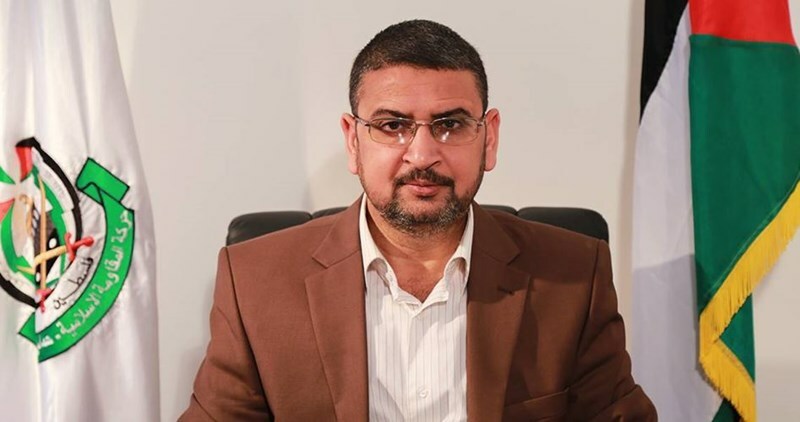 In a statement, the Hamas’s spokesman Sami Abu Zuhri called on Abbas to stop releasing such strange statements and positions which are not consistent with the Palestinian national ideology. In an interview with the German magazine Der Spiegel, Abbas said that Hamas tries to explode the situation and that the PA security forces managed via coordination with the Israeli army to arrest three Palestinian youths from Ramallah who were planning a “terrorist” attack. 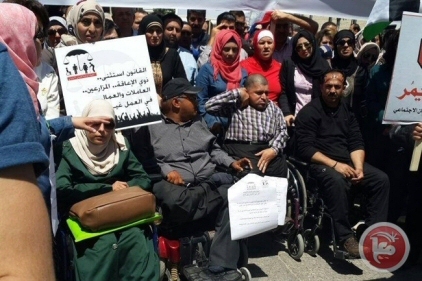 Thousands of Palestinians, on Tuesday, demonstrated outside of a government building, in the occupied West Bank hub of Ramallah, against the Palestinian Authority’s approval of a new law many believe fails to provide adequate protection for workers. Social Security Act No. 6 was ratified by PA Cabinet members in February and approved by defacto Palestinian President Mahmoud Abbas the following month. The law has since brought a downpour of criticism from critics who say it disadvantages those with disabilities, retirees, and private sector workers. The organizers of Tuesday’s rally demanded that the new law be suspended until discussions were held on a national level, in order to address concerns that the law acts as a detriment to employee savings without guaranteeing security from the state. While the PA was expected to begin implementation at the beginning of this month, a number of political parties in parliament, civic organizations, and trade unions reportedly opposed the law. Palestinian union officials, in approving the draft law under pressure from employers, called upon them to rescind their endorsements, Ma’an News Agency additionally reported..
PLUF also criticized union officials for allegedly approving the draft law under pressure from employers, and called upon them to rescind their endorsements. Tuesday’s rally marked the most recent amid an apparent increase in public demonstration against the PA in recent months. A large group demonstrated in Ramallah earlier this week demanding the PA release three Palestinians detained on suspicions of planning an attack against Israel. Weeks earlier, a teachers’ strike brought the largest public demonstrations against the PA in years. The organizers of the 14th Palestinians in Europe conference, which will be held in the Swedish city of Malmo on May, 07, 2016, revealed that it will discuss four main issues: Jerusalem, Gaza siege, Palestinian refugees in Syria, and Palestinian prisoners in Israeli jails. In a statement, they explained that the conference aims at uniting the efforts of European institutions which work for Palestine in a manner that serves those issues through holding sessions, shows, and recorded films with special emphasis on the situation in Occupied Jerusalem. The conference aims at addressing the suffering of the Jerusalemites in addition to the issue of Palestinian refugees in Syria with regards to its different political, humanitarian and legal dimensions. The statement affirmed that the conferees will discuss as well the issue of Gaza siege and means of ending the blockade with the participation of experts in legal and media affairs from Gaza Strip. The conference will be attended by each of Fadwa al-Barghouti, the wife of the Palestinian prisoner Marwan al-Barghouti, and Faiha Shalash, the wife of the Palestinian prisoner Mohammad al-Qeiq, in order to talk on the suffering of Palestinian prisoners in Israeli jails. This conference is now a major event in Europe and has been running successively for thirteen years. It has successfully brought together thousands of Palestinians to discuss the just cause of Palestine and their right of return. Islamic Resistance Movement, Hamas, slammed the statements of the Palestinian Authority (PA) official Hussein al-Sheikh who affirmed that the PA is maintaining security negotiations with Israel. The spokesman of Hamas Sami Abu Zuhri said, in a statement Thursday morning, that al-Sheikh’s statements refute the PA’s claims that negotiations with Israelis aim at informing them about halting security coordination. The PA practices security coordination with the Israeli occupation regardless of the popular and factional demands and calls for stopping that coordination and in contrary to the decision of the central council which stipulated for ending security coordination over one year ago. 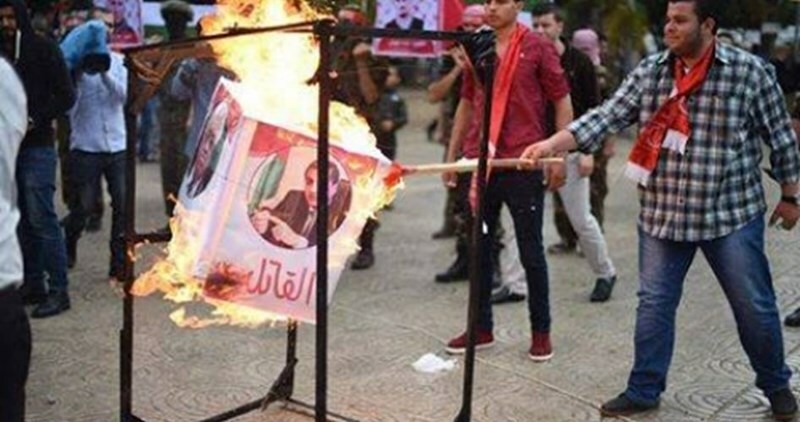 Supporters of the Popular Front for the Liberation of Palestine (PFLP) torched on Tuesday photos of PA Chairman Mahmoud Abbas, his Foreign Minister Riyad al-Malki, and PA ambassador to Bulgaria Mahmoud al-Madbouh during a rally in Gaza City. The PFLP had organized a rally in Gaza city marking the 40th day after the assassination of Omar al-Naif, a prominent PFLP leader who was killed by persons believed to be Israeli agents in the PA embassy in Bulgaria. The rally kicked off from al-Saraya square where senior PFLP political leader Hussein Mansour alluded to the possibility of PA officials' complicity in al-Naif’s assassination. 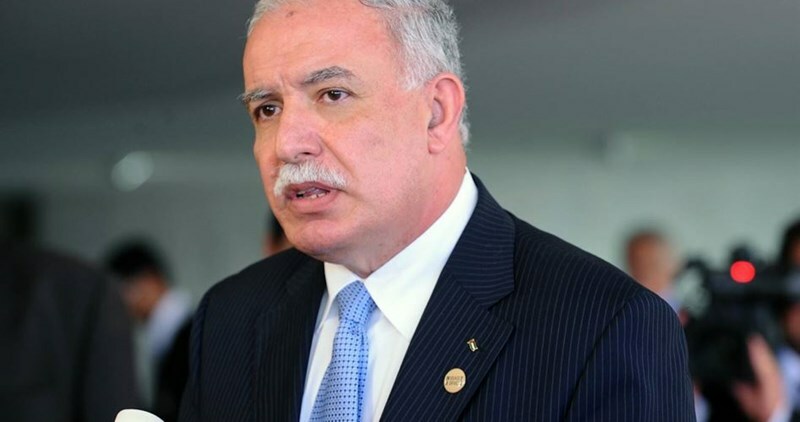 Mansour called for adopting a real national strategy to support the prisoners’ issue as it represents “a central issue” for the Palestinian people. He also called for making more efforts to restore Palestinian slain bodies held by Israel for allegedly carrying out anti-occupation attacks. Israeli policy of detaining Palestinian bodies is a failed policy that aims to stop the Jerusalem Intifada, he said.